All major compentents; movements, cases and now dials all made in-house. Note the MST branded dial printing machine in the photograph. By this stage MST employed around 1,200 workers. As was common with many Swiss companies of the time, MST offered extensive welfare assistance to its workers and their families - this would later become the Roamerhaus Welfare Centre. 1933 Patent: self-winding watch (CH 169396 US 2,013,386 GB 439677) Oscillating pendulum/weight. 1936 Patent: Two part waterproof stem (CH 180459), Ernest Morf (not MST) but will be used extensively by MST. 1941 Patent: Waterproof case (CH 215999), Ernest Morf (not MST) but will be used extensively by MST. 1948 Patent: Bi-directional full rotor winding with small lost angle (CH272613), used in first MST rotor automatic. 1948 Patent: Decoupling of manual and automatic winding mechanisms (CH274012), used in first MST rotor automatic. 1950* First in-house rotor automatic MST 410/411, using patents above. Could be late 1940s. 1951 MST changed its name to its most prestigeous brand Roamer. People often express surprise that a mid range movement company like Roamer could produce a technical triumph of a movement so many years ahead of everyone else like the MST436 from 'out of the blue' so to speak. What is interesting is the renaisance MST/Romer went through in the 1950s, the developments of which resulted in the golden era of the 1960s. In this period almost 40 patents were granted to the company, 18 of which list Bernard Humbert as the inventor. From the patent dates it is clear Bernard worked with or at MST on their prestige automatic movement - the MST436 and was the major contributor to its design. So, why was this man so significant? He wrote articles that appeared in the Horological Journal and the Journal Suisse d'Horlogerie, amongst others. He was the author of three important horological books of the 1950s, Modern calendar watches: Detail of calibers, repair (1954) - for half a century one of the most widely used text and reference book on how to service, adjust and repair the calendar mechanisms in 20th century watches, and Swiss self-winding watches (1956), plus the reference on chronographs - The chronograph: its mechanism and repair. 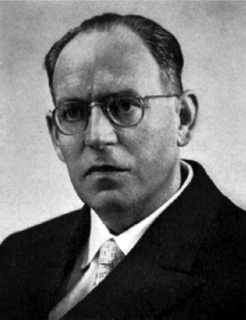 It is probably not surprising then that Bernard Humbert was also the Professor of Complications at the Watchmakers School in Bienne, and was widely feared by his students. Two patents for Roamer from 1956 and 1957 for calendar mechanisms. Walter Uebelhart later worked for Le Coultre. Sharing the name of a famous horological family - perhaps a coincidence, perhaps not. He worked on automatic/manual winding mechanisms in the mid 1950s and was responsible for 3 patents. The Meyer family were still invoved at the cutting edge, for example, in 1953 Max Meyer, patented an automatic rotor bearing. 1955 Patents: Improved waterproof case design (CH 305467, 305776, 307382, 308491 ). 1955-1959 Many patents for calendar mechanisms. Development of the calendars was for the MST 430/436, in the meantime Roamer used Felsa 4002 (MST 441) and 4007 (MST 452) automatic movements with date alongside their in-house (and non date MST420). 1962 MST414/430 and the star of the lineup the 44 jewel MST 436 launched. 1968 Max Meyer appointed as CEO, and unfortunately dies at a young age - ending the family control of the company. Until becoming CEO Max Meyer was in charge of calibre design, and his untimely death can be attributed to the stress from the development of the MST52X family of movements with their problematic date mechanisms in conjunction with the concurrent development of the first Roamer quartz movement. 1973 Last patent? Date and day advance mechanisms. Used in 52X? Check. 1975 Movement manufacture halts. 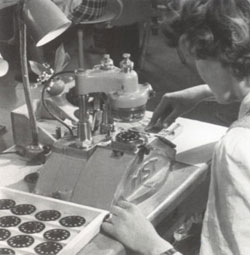 "The Roamer Watch Co. in Solothurn, one of the last remaining family-owned watchmaking firms in Switzerland, is closing its independent watch-parts production in a drastic reorganization and has been granted a four-month moratorium on..." This is from the American machinist: Volume 119, 1975 and is the only snippet of information we have. 1983 Meyer family ownership of Roamer comes to an end. Roamer was incorporated into the the Swiss ASUAG group (Société Générale de l'Horlogerie Suisse SA) and held in trust for a brief period. 1985 Purchased by a former Roamer marketing director Hrr. Leval and returned to independant manufacture under his ownership. At this time Hrr. Leval rescued a remant of the company archive from the basement of the former Roamer building which is retained by the current companytoday. Thanks to this action precious historical documents avoided destruction. 1994-2012 Roamer was purchased by the Hong Kong based Chung Nam Company and later (in 2009) reencorporared as a 50/50 venture between Chung Nam and the luxury focused Swiss Watch Group. During the entire period Roamer was left to function independently in Switzerland. The current chief designer worked for Roamer in the original family owned company and the company maintains links with former owner Hrr. Leval. The company is currently located about a 5 minute walk from their historic headquarters. The current company continues with a solid historical connection to the original family owned company. All text and images are either © Kris Bubendorfer 2011-15 or © Roamer Watch Company.